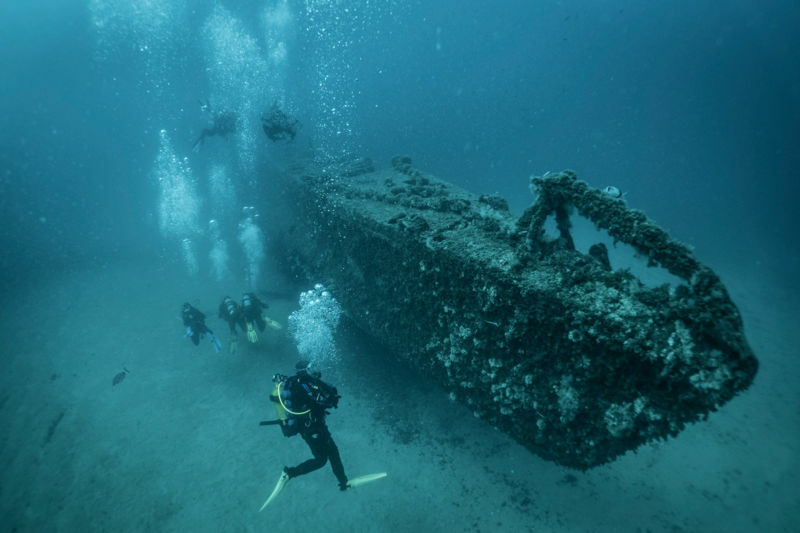 Certified divers from level 2,CMAS**, or advanced Openwater + deep dive speciality , dive on the famous submarine wreck Le Rubis. The submarine, in a very good state of preservation, lays in a perfect horizontal position, on a 40 meters sandy ground. In 60 years, it became an wonderfull oasis of marine life and biodiversity. Meeting time à 9:00am at the dive center (on Sainte-Maxime's marina) for an half-day trip on our confortable fast boat. Beverage and good vibes ! You should plan a refresh dive with us before going on Le Rubis, if you have not been diving for a while, to be sure you will enjoy fully the experience. Bring your diver card, logbook, swimming suit and towel. You can bring your personal belongings onboard. Shower onboard. Equipment available for rent and sale at the dive center.